“Ibu Pertiwi” is the song that always come to my mind when i think about Indonesia recently. Especially Jogja. I do not really know how is the condition there right now, but i do feel really bad about it. All of those disasters that just happened was however, terrible. That was just too bad and sad. I also sometimes feel guilty for enjoying all of the good things here in US while in Jogja, a lot of people need to get out from their own house, do not have enough food, clothes and any other living supplies. It hurts to hear that Jogja is covered by ash and looks grey everywhere. I mean, it is Jogja! My lovely beautiful city! I mean, it’s not my hometown, but it is the city where i used t live and LOVE the last 2 and half years. 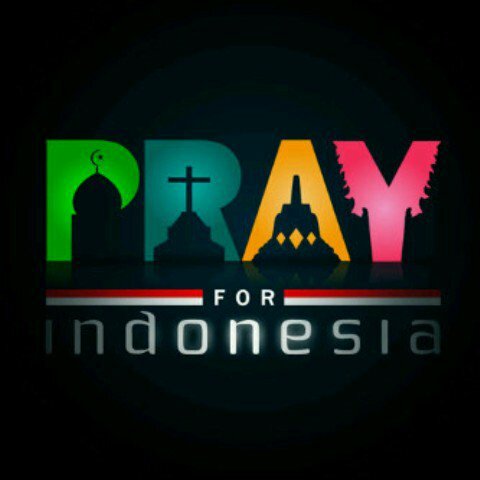 However, just like others, i just can “PRAY FOR INDONESIA“. I do hope everything will be just fine, and jogja will be the same lovely city when i go back there, just like when i left it. This entry was posted in AFS, Indonesia, Thoughts and tagged AFS, Indonesia, Jogja, USA on November 15, 2010 by Dee Ciptasari.